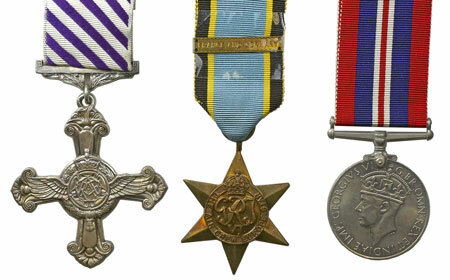 There were 278 lots of medals and militaria in the Warwick & Warwick August sale. 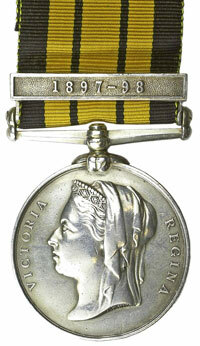 Lot 36 was a rare 1887-1900 East & West Africa Medal, 1897-98 clasp, to CSgt Heafield of the Durham Light Infantry. This was 1 of only 3 clasps issued to the regiment. With 2 telephone bidders and room interest, it easily raced past its estimate of £600, finally selling for £1888. 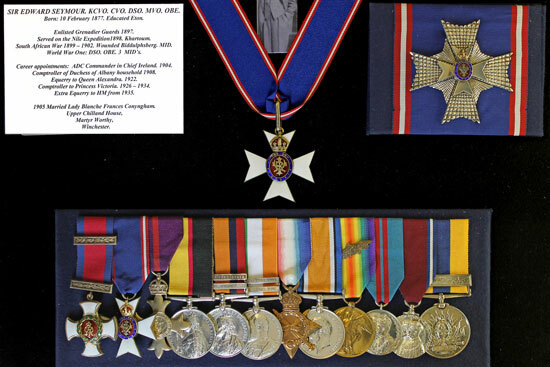 Lot 37, a KCVO, DSO, MVO, OBE group of 14 to Sir Edward Seymour, Grenadier Guards sold for £7080. The highlight of the WW2 section was Lot 134, a 1944 Distinguished Flying Cross group to Sqn Ldr Ronald William Weston R.A.F.V.R. His DFC was awarded for his conduct as a mid-upper gunner with No 83 Sqn flying Lancaster bombers as part of the pathfinder Force. The lot sold to a postal bidder for £2478. 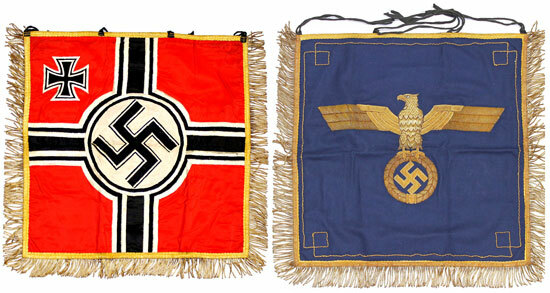 There were 79 lots of militaria with some outstanding results, thanks to some very healthy room competition. The German firearms proved a real hit with very good results. The first firearm was Lot 200, a German MG42 heavy machine gun. It got the section off to a flying start, selling for £1357. Lot 202, a German MG34 heavy machine gun realised the same sum, selling for £1357. Lot 205 was a German Steyr 1943 MP40 9mm sub-machine gun, with a folding stock. It sold for £1091. There was an excellent edged weapons section with Lot 210, a Third Reich Kreigsmarine Officer’s dagger and scabbard selling for £401. 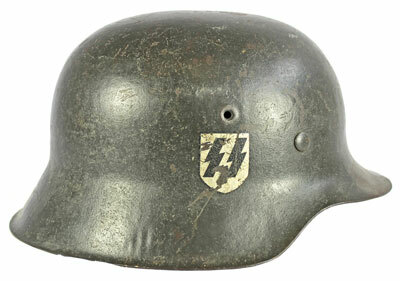 A small range of helmets included Lot 224, a German Waffen SS M42, which made double its estimate selling for £1652. The highlight of the militaria section was Lot 243, a rare WW2 era Kriegsmarine Admiral’s Banner Flag in excellent condition. With much competition both in the room and on the telephone, it finally sold to a lucky room bidder for £3422. 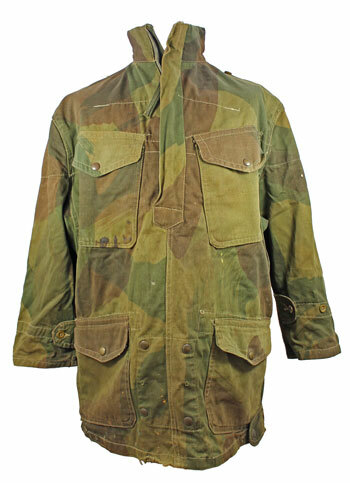 Lots 247 and 248 were British Army Denison Parachute Smocks, which sold for £460 and £401 respectively.